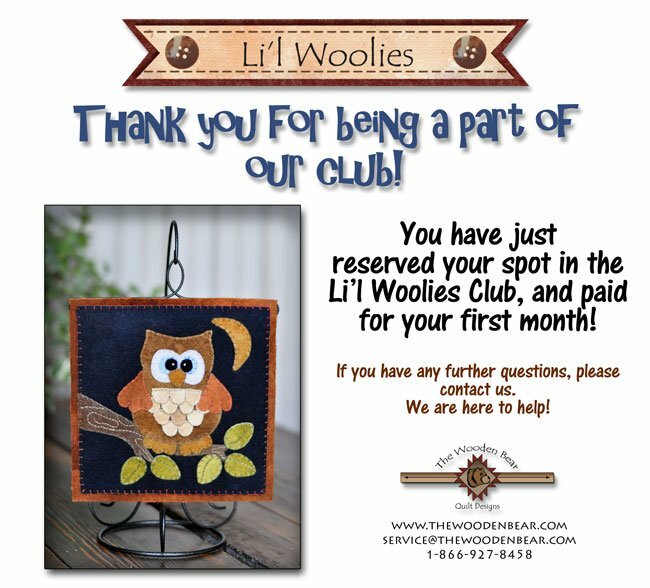 Welcome to the Li'l Woolies Club! Note: We work two months ahead of the pattern month, so if you sign up from November 11 through December 10, for instance, your first shipment will be for the February Lovebirds. Here is a schedule showing sign-up periods, and which kit will be your FIRST SHIPMENT. Please note: It doesn't matter when you sign up, you will still receive all 12 patterns, but you will begin with the kit that we are currently shipping.